4.75 in. x 8 in. 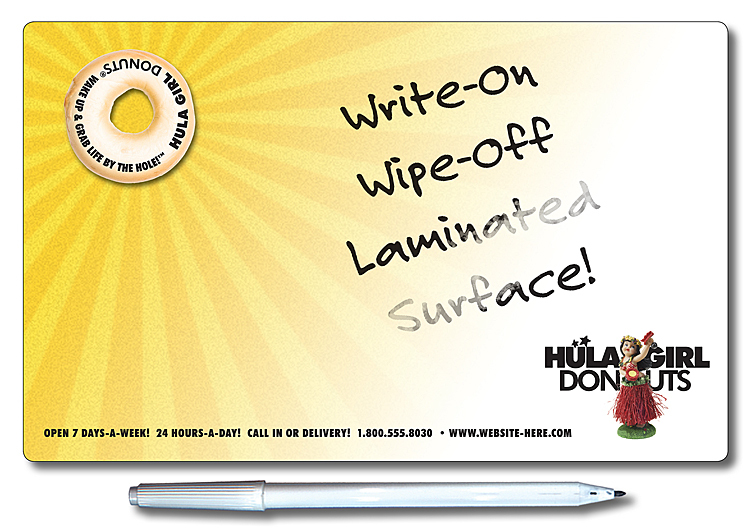 FREE Dry erase pen upgrade available upon request. Price include printing in full-color (four color process) on one on one or both sides, write-on/wipe-off marker, Velcro® pen holder, self-stick tape and magnets all enclosed in a clear cellophane package. Exact color matches, metallic or fluorescent colors cannot be printed in full-color (four color process).